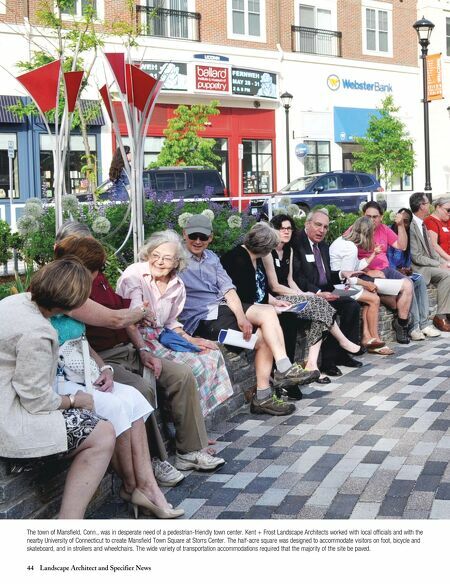 44 Landscape Architect and Specifier News The town of Mansfield, Conn., was in desperate need of a pedestrian-friendly town center. 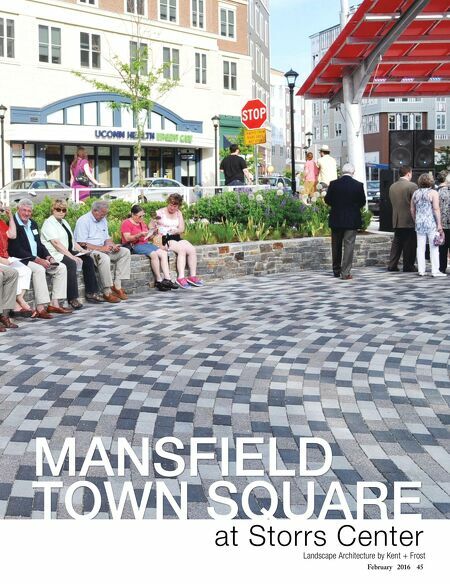 Kent + Frost Landscape Architects worked with local officials and with the nearby University of Connecticut to create Mansfield Town Square at Storrs Center. The half-acre square was designed to accommodate visitors on foot, bicycle and skateboard, and in strollers and wheelchairs. The wide variety of transportation accommodations required that the majority of the site be paved.